Into the gymnasium we go. Why is Should-Have-Been-Executed Naegi-kun with her?! Is it really going to be alright...? Could it be? 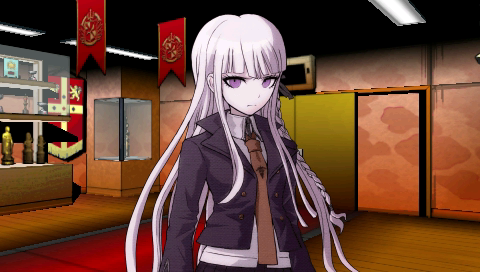 Did Kirigiri-san go and save him?! After I did my best to punish him?! It may be harsh, but those are the rules. Therefore, here comes another punishment! This time, it's not going to fail!! But, before you do, there's one thing I want to say. If you punish Naegi-kun right now, you lose this game. I hope that's okay with you. Hey! What does that even mean?! That entire school trial was something you schemed up, wasn't it? The entire thing was your plan to stop me from interfering by killing me. In other words, if things went according to plan, it was me who should have been executed. W...Wait... What are you saying...? 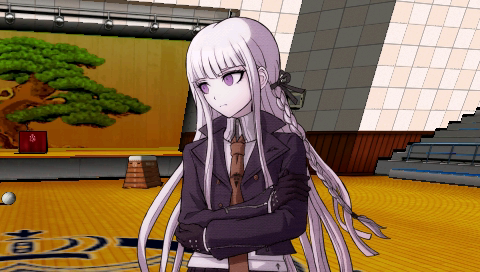 But, that plan went splendidly awry when Naegi-kun decided to overlook my contradiction. It probably took you by complete surprise. The possibility of someone protecting another under that kind of stress never even crossed your mind. ...Was to execute Naegi-kun as the culprit. It was a desperate measure... But that's not all it was. 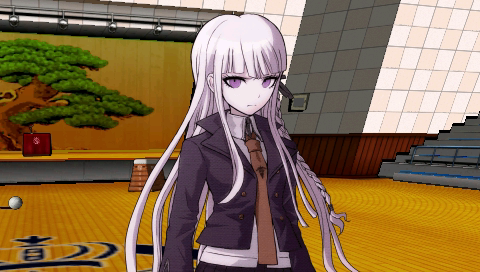 You probably felt Naegi-kun was also a threat. 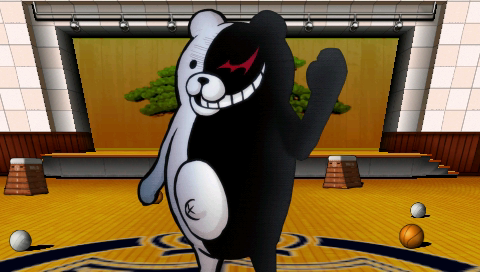 Naegi-kun who wouldn't act as you expected. But, another surprise was waiting for you. 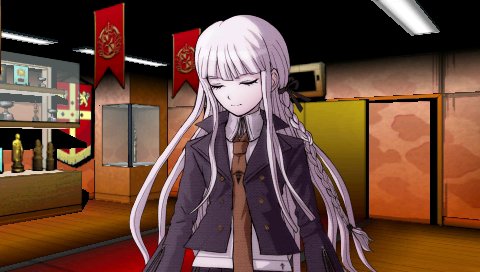 Someone who could interfere with Naegi-kun's execution. 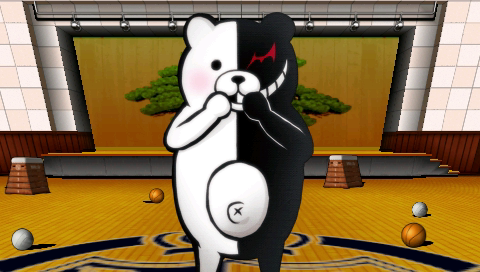 It wasn't Naegi-kun who killed Mukuro Ikusaba. It was you. 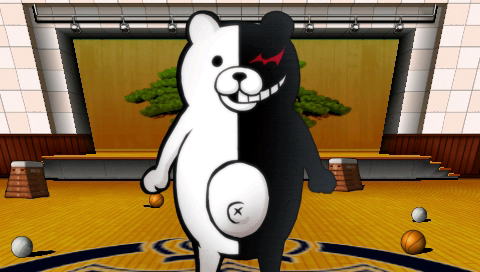 Nevertheless, you decided to execute Naegi-kun. That action is against the school rules you love so much. Didn't you just say...? A culprit will be killed only if the correct culprit is chosen. Hmf. Is that why I lose...? 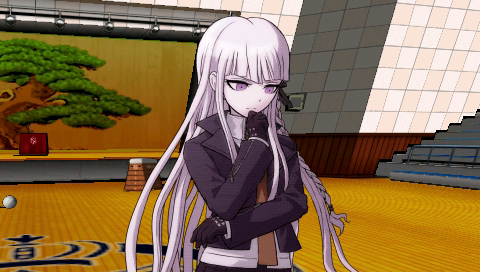 The true culprit is me and not Naegi-kun? That's a rude thing to say. ...Do you have any proof? S...She could've at least bluff...! ...Are you messing with me? You say all that with such conviction but you don't have any proof...? I don't have any right now. Give me just a little more time, and I'm certain I'll find some. No matter how much you try to hide it, there is only one truth. That Great Detective catch phrase you just coughed out is so cliche, you know. 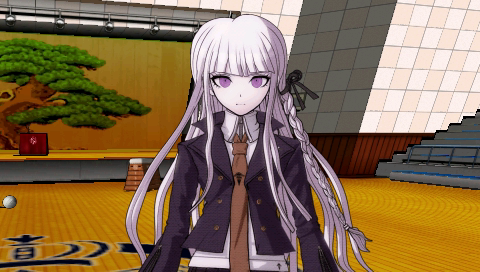 If Naegi-kun had been the culprit, would he show up here in front of you like he just did...? But, here we are. Standing right here facing you without losing hope. Are you implying that's as good as any proof? Do you just expect me to accept it? The people watching will be just the same. 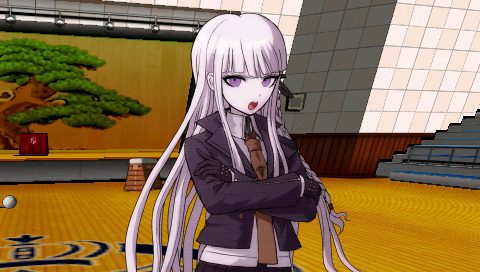 If they see Naegi-kun executed like that, they wouldn't accept it so easily. 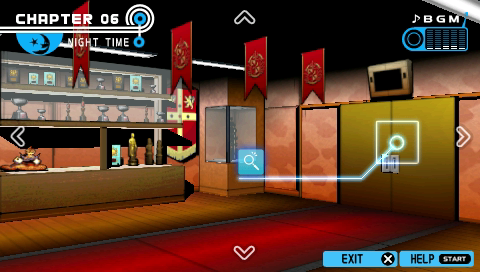 Here's what the people watching will probably think the moment you execute Naegi-kun. They'll think you're forcing the execution exactly because what we just said hit the bull's-eye. If you insist you're being wrongly accused, how about proving it? 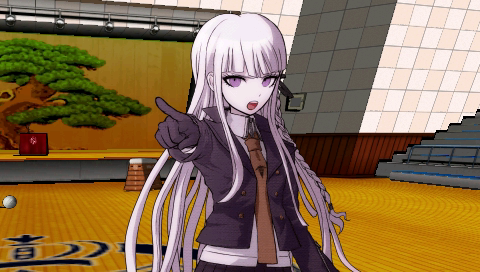 If you kill Naegi-kun right now without proving your innocence, you're simply accepting defeat. If you want to make us despair by playing fair and square, you must accept my proposal. And... what would that proposal be...? 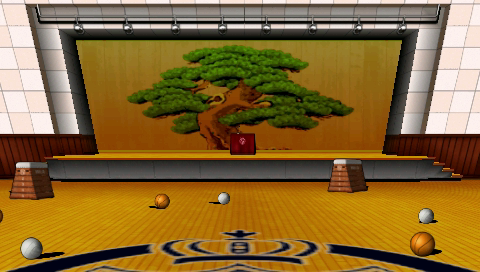 Let's redo Mukuro Ikusaba's school trial. 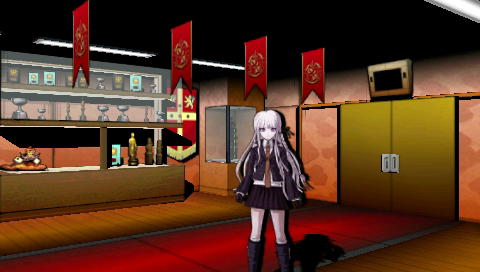 This time, as a fair trial in accordance with the school rules. It will be our final match. The final match between hope and despair! ...How about it? It will be a development worthy of being called "a climax", won't it? 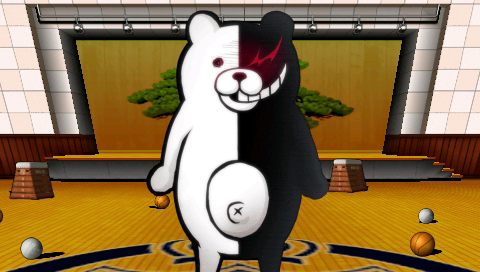 A trial to reveal the true identity of the mastermind who killed Mukuro Ikusaba?! Hee hee hee hee... Interesting. I decided to change my bearsonality again. The old one was getting boring. Yes, it's time to get things done and obear with. It does sound worthy of being called "a climax". If I do, it means both you guys and the viewers can be satisfied, doesn't it? And then, you will all despair, won't you? In that case, I'd nebear forgive myself if I don't accept it! Who's gonna win? You guys' hope...? 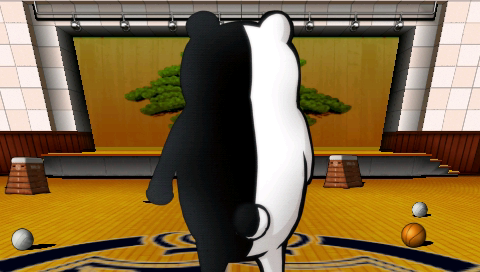 My despair...? Let's play our final match!! ...Does that mean I still have a chance?! But, if this is going to be our climax, a bear culprit-hunting is just not gonna be enough! We should have you guys solve every mystery! That's what final confrontations are all about! I'm going to accept your victory! 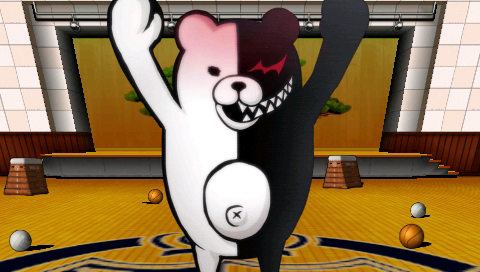 I'll let ebeary one of you guys win! We're all going to get executed. When you guys find out the truth... I wonder how much despair you're going to show me...? No, it's me who can't wait. 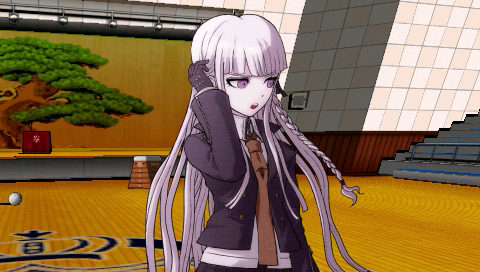 When we reveal the entire truth, what kind of despair is Super High-school Level Despair going to fall into? But, there's something I want you to make clear first. 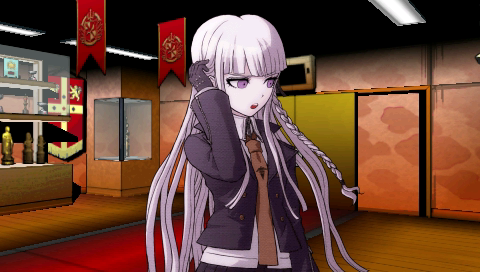 You said the school trial is held when a murder occurs between students. I just want to confirm you were telling the truth. Hee hee hee... Fine. I'll bearify it, loudly and clearly. Everything... was according to the school rules. 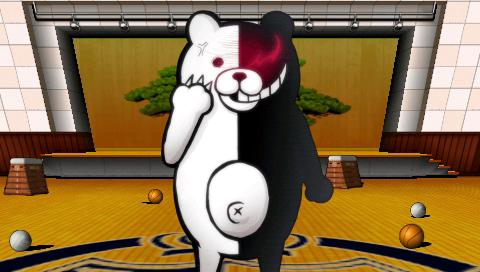 Holding Mukuro Ikusaba's school trial was no exception. 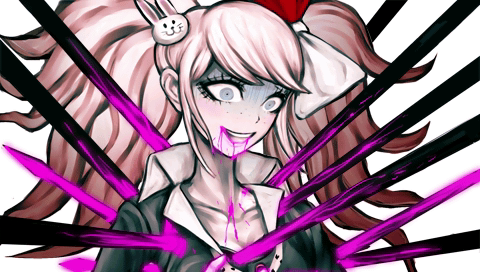 Mukuro Ikusaba's school trial was no exception...? It was all according to the school rules...? Hee hee hee... I think I'll bearmit you one more hint. Are you telling the truth...? What's up with you? Why are you suddenly silent...? This discussion is over! There is nothing more I have to say to you bastards!! ...And now he's suddenly mad?! I told you to get out!! A...Are you really gonna just let me go...? We left the unstable Monobear and his worrying laugh behind us, and walked out of the gymnasium. It seems I avoided another execution. Somehow... I'm not dead yet. But... is that going to be for long...? 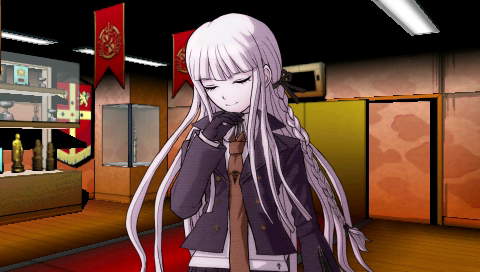 Since Naegi doesn't seem like the decision maker in this relationship, let's hear what we should do next. It's too soon to celebrate. The true challenge has just begun. ...I must say I'm kind of relieved, though. Thank god this plan worked. B...But why did the mastermind go along with your proposal...? What does he even has to gain from this plan...? So, what is that weakness you're talking about? I didn't hear it directly from him, but he told the rest of you, didn't he? What did you think when you heard that story? It was difficult to accept, wasn't it? That's because such things rarely happen. In other words, it's a very difficult thing to do. But, nevertheless, the mastermind did it. Or, if we look at it from the opposite direction, he must have had an extremely important reason for doing such a difficult thing. He had to impress the world with our mutual killing. It wasn't enough for the mastermind to just kill us. He needed us to kill each other. He made up the school rules just for that reason. In other words, the mastermind's goal was to make us kill each other and show that to the world. Do you know what the students of Hope's Peak Academy are known for? They're known for "hope"... aren't they? By showing that to the world, he tried to prove that despair is superior to hope. 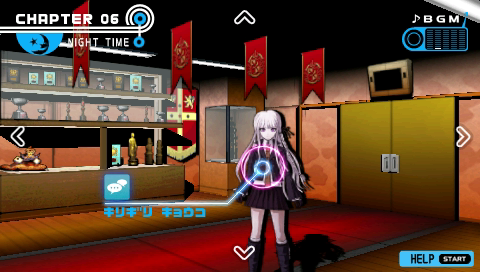 That's what Super High-school Level Despair's goal is. 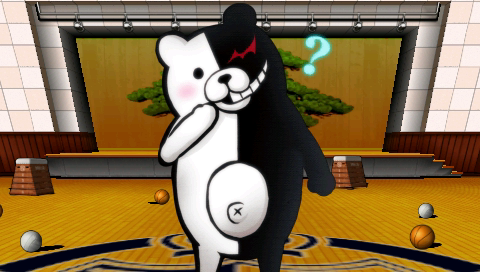 Prove that... despair is superior to hope? Just for... that stupid reason...? That's apparently how that group called Super High-school Level Despair thinks. B...But...! Making us kill just to prove something silly like that...! That goal is also the mastermind's weakness. The mastermind wanted to show the world how we kill each other. To do that, those school rules he made up are necessary. If the mastermind starts to ignore those rules, this affair changes from being "mutual killing" into a simple massacre. At the very least, that's what the people watching us are going to think. ...And that's why the mastermind could never kill us directly? That's why he didn't kill me directly. I mean, I may have been a nuisance, but I've never broken any of the school rules. 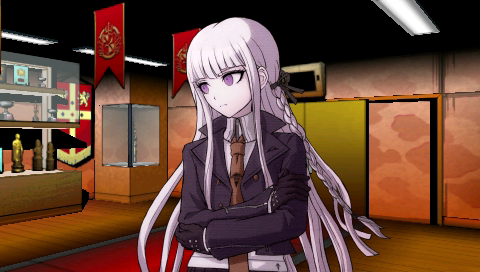 He couldn't just kill me on his own like he killed Junko Enoshima, who did break a rule. He started an unfair school trial and tried to set me up as the culprit. But... that ended up in failure. And, thanks to that failure, his weakness was exposed and we found an opening for attack. There was nothing he could do but accept your proposal. In order to prove to the world that despair is superior to hope, he must completely and cleanly strike us down. It would be very bad for him if he's exposed as a rule breaker. But you realized that and turned it against him by proposing a match...? It was you who created that possibility for us, though... Thanks to your belief in me, you gave us a chance. B...But, how did you realize what the mastermind's plans and thoughts were so thoroughly...? No... it was just simple reasoning without any proof. It was a gamble. ...Thank god. It seems I got it exactly right. You looked completely confident before we went to meet Monobear. Speaking with an air of confidence is the basis for a good negotiation. Also, had I looked stressed, it would only have made you even more so. We can't let ourselves feel too happy, though. It's just like she said. If we don't win, none of us survives. We have no choice but to win! But, before we start our final investigation, we must go explain everything to the others. At least it's clear who our enemy is this time. After we explain, we can all work together and defeat the mastermind! ...Anyway, the first thing to do is to find them. Let's go... They're probably somewhere in the dormitory.